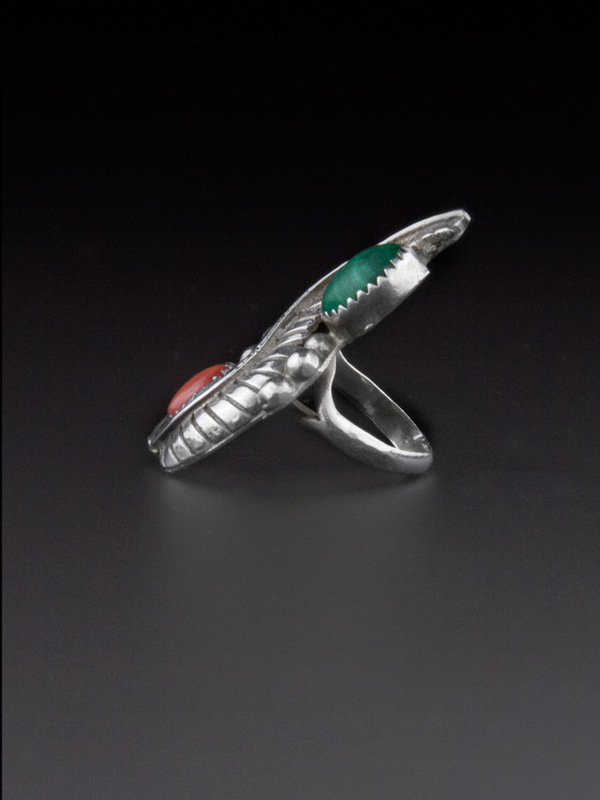 Large and beautifully designed vintage Native American sterling silver ring. 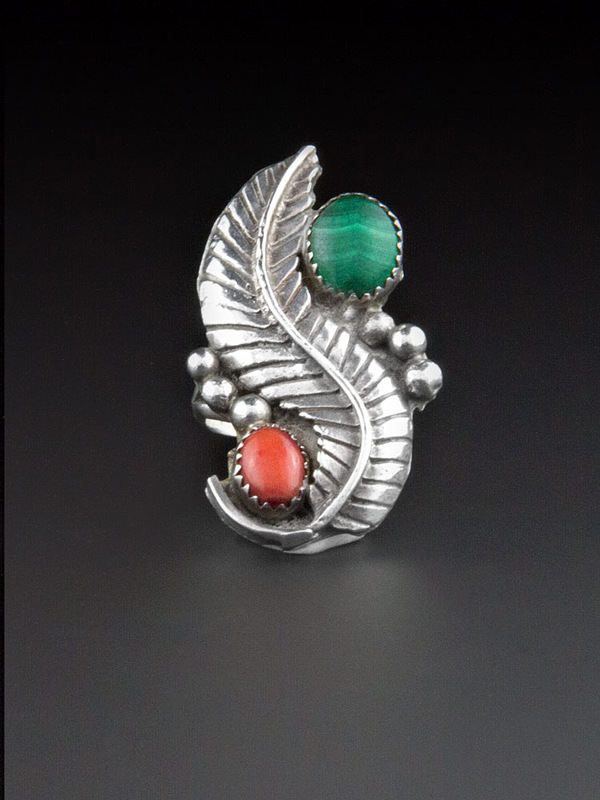 Lovely sterling leaf motif with berry setting on either side and a bezel set piece of natural unpolished deep green malachite and a polished piece of coral - quite a long ring; runs to the knuckle, prong back, Navajo handcrafted, circa 1970's - lovely and elegant statement vintage ring. Spectacular vintage condition. Shows mild wear commensurate with age, no dings or chips, will come with some patina, as level of polish is a matter of taste. 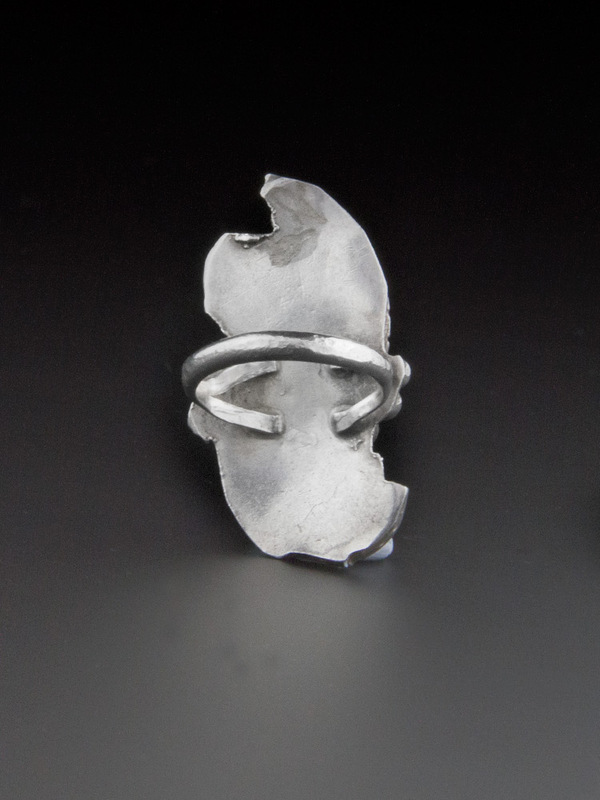 Has a handcrafted look to it, some of the original solder work is evident on the back - amazing vintage ring.